Food Hussy Giveaway: SkipTheDishes.com Discount! | The Food Hussy! 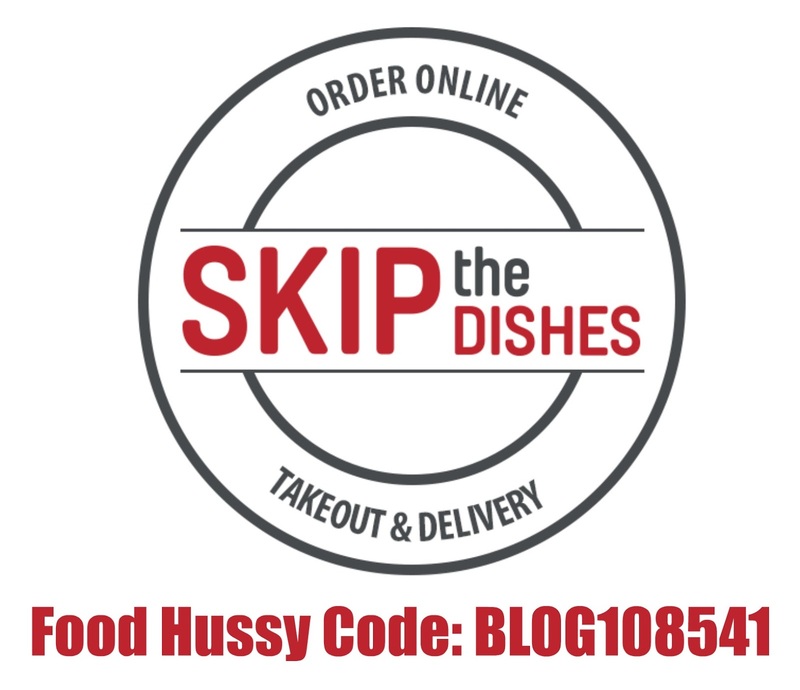 Food Hussy Giveaway: SkipTheDishes.com Discount! And that's where SkipTheDishes.com comes in - thank goodness! They are a restaurant delivery service that has a ton of options in and around downtown Cincinnati. 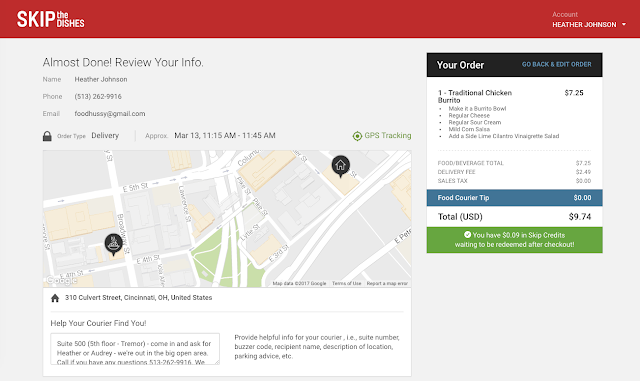 You've got a delivery fee and a tip fee - but other than that - menu prices are the same. The selection is great - there are a ton of places within 10 minutes of downtown for us to choose from. The folks at SkipTheDishes.com gave me a $50 gift code to try it out. Once you choose a restaurant - the ordering process is really seamless. They have more choices than you would probably even think of! 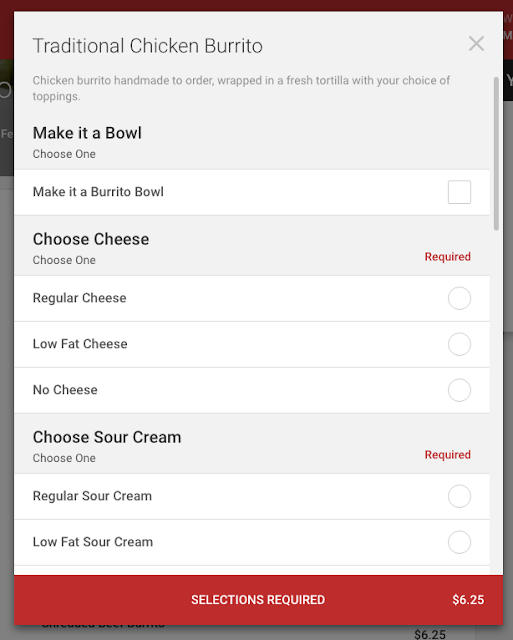 This also comes in really handy when you're doing a group order for work lunches! There's also a handy-dandy map that shows you where your driver is all along the way - so you can tell if he's lost and/or on his way. And - once the driver is headed your way - they send you a text so you are aware. We were thrilled when our Indian food from Amol Indian arrived - we each got Chicken Tikka Masala as well as some veggie pakora and garlic naan. We laughed because I shared the gift with a coworker and we ordered exactly the same thing! 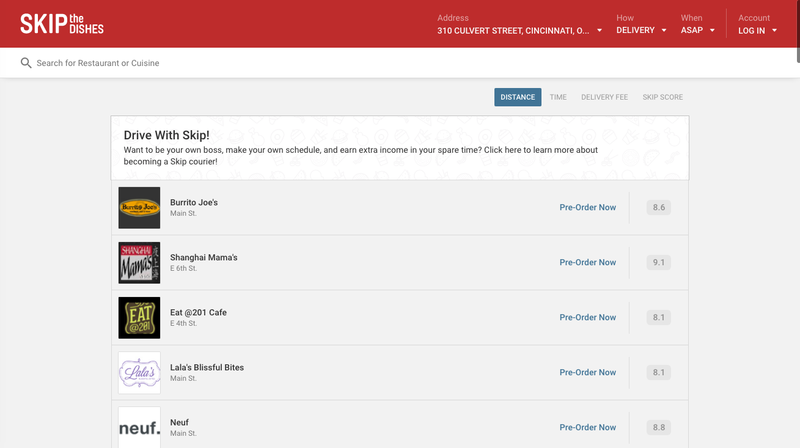 So I've got two fun things for you guys - first you can try out SkipTheDishes.com yourself with my 10% off code! New customers can enter code: BLOG108541 between now and May 1 and receive 10% off your order! You can also enter to win a $50 gift card of your own to try it out! 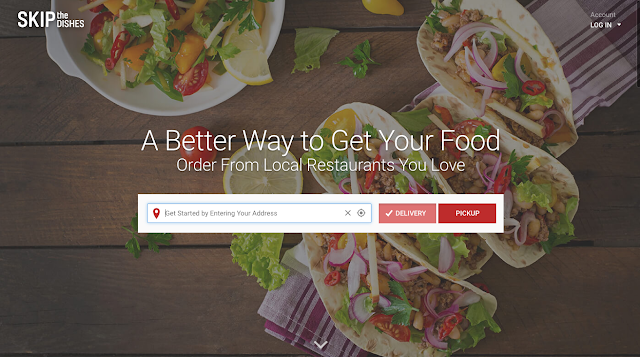 Just let me know what restaurant you want to try - and you're entered to win!